Did you *FALL* for the #1 myth that makes you gain weight? And now that the holidays are right around the corner (along with the dreaded holiday weight gain) some people will fall for these myths and end up even HEAVIER than when they started! But there is ONE in particular that I hear about time and time again that really just makes me crazy: It’s that CARDIO is great for fat loss. What?! Since WHEN?! They are always SHOCKED to learn that steady state cardio is probably the WORST exercise to do for fat loss. Well then, how is it my clients lose so much weight? 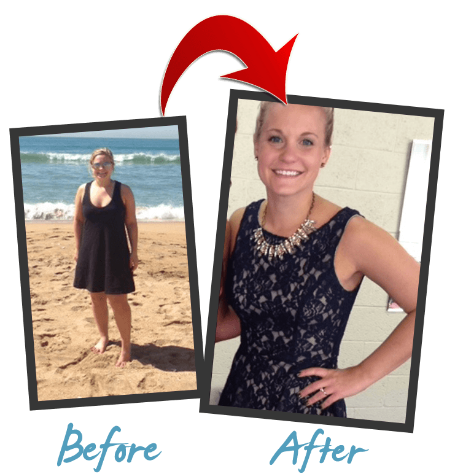 How is it my clients consistently lose 8+ pounds of fat and 2-4 inches from their belly in their first month alone? It has ZERO to do with long hour(s) of cardio. The research is there, it is conclusive that cardio is a miserable waste of time when it comes to fat loss. The problem is that big gyms will continue to perpetuate this complete load of BS because they have big bucks invested in endless rows of fancy high tech treadmills and ellipticals. Machines do not burn fat – YOU DO! A recent study published in the Journal Of Strength and Conditioning Research found that cardio creates a massive increase of oxidative damage and floods the body with destructive free radicals. These free radicals have been proven to damage organs including your skin. This free radical damage is especial noticeable in the facial tissues, causing skin to sag making you look considerably older. Wow. Cardio has been shown to chew up muscle tissue. Just look your typical marathon runner. Those guys look a stiff wind could break them in half. Yup, long boring cardio induces muscle loss that leads directly to a slower metabolism and ultimately a weaker body. In fact, recently at a fitness convention study after study was presented that showed that marathon runners gain body fat during the training for their long runs! Think about it, cardio is essentially THOUSANDS of identical reps – one after the other. Over and over. Again and again. This leads to a host of injuries including Patllofemoral Pain Syndrome (sever knee pain), Plantar Faciitis, Achillies Tendonitis and Spinal Compression just to name a few. Sound like fun? It’s not. Cardio decreases your metabolism, and as you probably know your “metabolism” (or metabolic rate) is the measurement of how much energy your burn each day. We want that number to be high, not low. As your metabolism goes down so too does your body’s ability to burn fat. A common response is then to do even more cardio, suppressing the metabolism even more leaving you even more soft and flabby. This gives you the dreaded “skinny fat” look. So if cardio is not the answer what is? How about a proven fat loss plan? When you follow my proven fat loss formula it only takes less than 30 minutes three times per week. That’s right – less than 30 minutes and no crappy (and useless) cardio. How about a step-by-step guide and menu? Yup, I’ve got you covered! .. and you’ll be more than good- You’ll be in the best shape of your life. I have come up with a way for you to get the entire 24 day program for a deposit of $20 and one payment of $77 in studio. So even if you can only workout 3 per week (for only 30 minutes!) you can say goodbye to that belly once and for all! So just REPLY to this email or call now at 763-710-5065 and we will secure your spot. Because of how effective this 24 day rapid fat loss program is you can expect that it will sell out fast – so call us NOW! http://www.mpowerfitnessmn.com/wp-content/uploads/2018/10/01.png 473 453 mpower http://www.mpowerfitnessmn.com/wp-content/uploads/2019/01/M-Power-Logo-300x82.png mpower2018-10-18 16:00:032019-01-17 16:18:10Did you *FALL* for the #1 myth that makes you gain weight? I think it is safe to say that spring is finally here, which for a lot of us means we can be outside and we get to start growing plants outside or tending to our yards. For many of us also, it means we do some spring cleaning. Today I want to talk to you about both spring cleaning and gardening- but in your mind. We make a conscious effort to get things out of our closets that no longer fit. We choose to toss or donate food items that won’t be used. We take time to clean the garage and to let go of children’s items that they have outgrown. But do we make a conscious effort to check our mental space and toss out ideas and belief systems that no longer work for us? I know I could do a better job of it. I’m pretty careful with my headspace. Meaning, I’m selective about what I let in and what I repeat to myself but I know I still have some old cruddy negative, self-limiting (doubt filled) beliefs. Just this last week in a client meeting, I asked the client if she had ever stolen something as a little kid. A lot of little kids have. And then we learn that it is not ok and we don’t do it anymore etc. But what if she had spent her whole life telling herself she is a thief? Awful right. Completely untrue. Likely very damaging and limiting. So why would anyone spend time telling themselves ANYTHING other than what we ​want to be true of ourselves. ​Perhaps because we don’t know better or are not yet in the habit of doing the reverse. If you have some things, beliefs, attitudes etc. that you are repeating to yourself that are harmful, limiting or no longer help you perhaps this spring you could intentionally work on releasing them. ​When we plant a seed or a plant, we care for it. We water it. We make sure it gets sunshine and then we let it grow. We don’t tell it off for not growing fast enough. We don’t poke it daily and wonder why it isn’t different. We let it do its thing. We need to do the same with our bodies and our minds. When we plant new seeds of kind, loving and appreciative thoughts for all that our remarkable bodies do for us and then we focus on all the new, great things we are asking of them, we then need to then be patient and kind. And continue the process with care. The time of transformation continues. To truly transform we let go of what no longer serves us and we move forward with what does. What are you going to spring clean out of your mental house? What are you planting there instead? 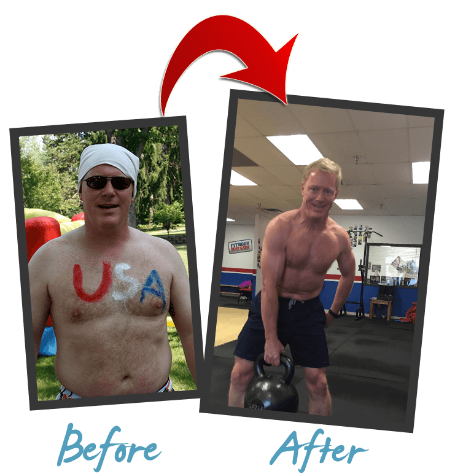 PS we are PUMPED about our Ultimate Transformation Challenge that begins May 14th. IT is a twist on our proven process of the 6 week challenge with some improvements to deliver even better results.